Taille de cet aperçu PNG de ce fichier SVG : 800 × 571 pixels. Autres résolutions : 320 × 229 pixels | 640 × 457 pixels | 1 024 × 731 pixels | 1 280 × 914 pixels | 840 × 600 pixels. 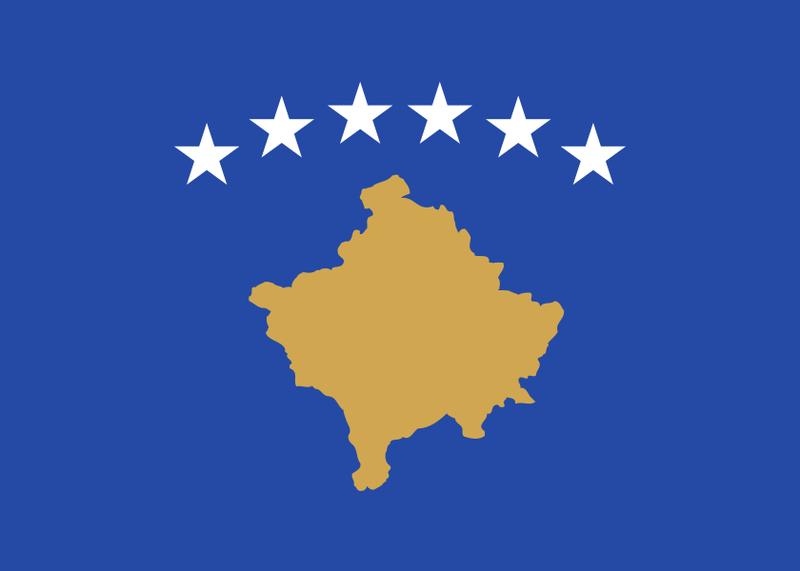 Source Originally from Image:Flag of Kosovo.png. 10 juillet 2012 à 20:45 1 260 × 900 (16 Kio) Achim1999 made the six 5-pointed stars laying angel-equal-distant on an arc and use a much preciser border-line for the country's border. 4 décembre 2009 à 22:14 840 × 600 (7 Kio) Zscout370 I noticed the PDF colors changed. They are still in the CMYK format and Inkscape can open PDF files directly, so no special conversions had to be done. 28 avril 2009 à 16:52 900 × 600 (7 Kio) Zscout370 Ok, then still keeping the colors, but reducing the total SVG used in the file. 28 avril 2009 à 10:48 900 × 600 (9 Kio) Chandler~commonswiki Reverted, sorry a random selfpub site doesnt override the gov. Ce document provient de « https://fr.wikipedia.org/wiki/Fichier:Flag_of_Kosovo.svg ».